The cops are on hanging off the coat tails of the robbers in this crime-themed classic 5 reel. 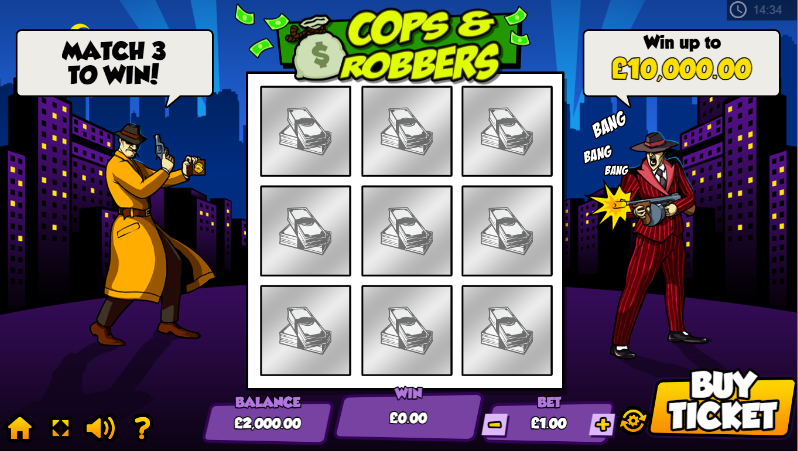 The Robbers have stolen the bounty from Millionaire's row and it’s your job to aid the Coppers in getting it back. Spin the wheel and chase the robbers to win your slice of the pie and see what other bonuses are thrown in along the way throughout this traditional online slot game. Pariplay has grown significantly since it began in the mid-1990’s and now have many talented and creative individuals helping to create top class entertainment. Their main aim is to delight and inspire others to have fun. They were one of the first software companies to move into the mobile market and since then have remained a high contender among their competitors and a favourite developer of the Easy slot games team. 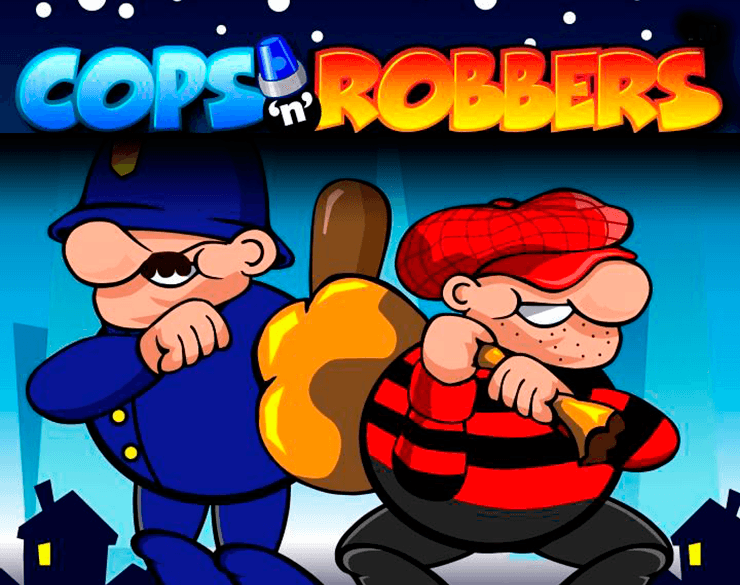 Are you ready to take on the police and make off with the loot in Cop ‘N’ Robbers? This popular slot game mimics a real-life situation with cops, guard dogs and judges trying to stop you. The game offers three awesome features including free spins, safe cracker and hot pursuit. To make off with all the loot all you need to do is match 3,4 or 5 of the same symbols alongside a pay line. In a standard game winning combinations start on the first reel and run until the last reel along an active pay line. Free spin feature: 15, 25 or 100 free spins can be triggered by 3,4 or 5 police sirens arranged in any way. The free spins are played for the same amount of lines for the same bet as in the previous game that triggered them. 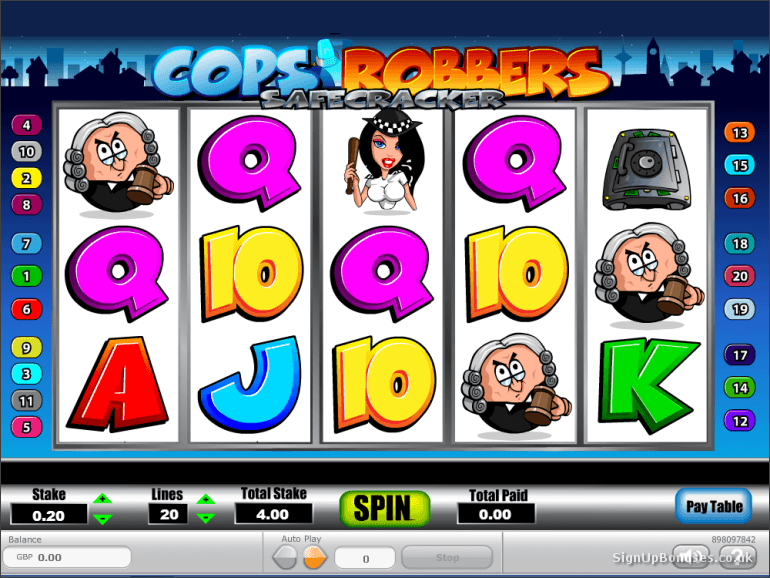 Extra free spins and additional feature games can be won through the Cop ‘n’ Robbers free spin function. Safecracker feature: You can clear the safe out if you land 3,4 or 5 safe symbols in any position. You can select which safe you want and once selected the contents is yours to clear. The multiplier amount you take from the safe will be multiplied with your stake and increase your existing credit. Hot pursuit feature: To grab all the loot and make a runner for it all you need to do is spin 3,4 or 5 Cops ‘n’ Robbers symbols. At this point, the police will begin their chase but you must escape. Click ‘start’ in order to make your getaway, the start button will allow you to spin the dice and allows you to move forward the same amount as the number shown on the dice. The police will follow you and should they catch you, you enter a line-up where you’ll either be free or released on bail. If released on bail you can continue on the run in a bid to win more money. However, should you be convicted of your crime you will leave taking with you your multiplied stake winnings. To discover more easy slot games Click here.